Packers Pine Tar | Treat your skin and hair to the wonders of pine. We’re glad you’re here and appreciate your interest in our products. 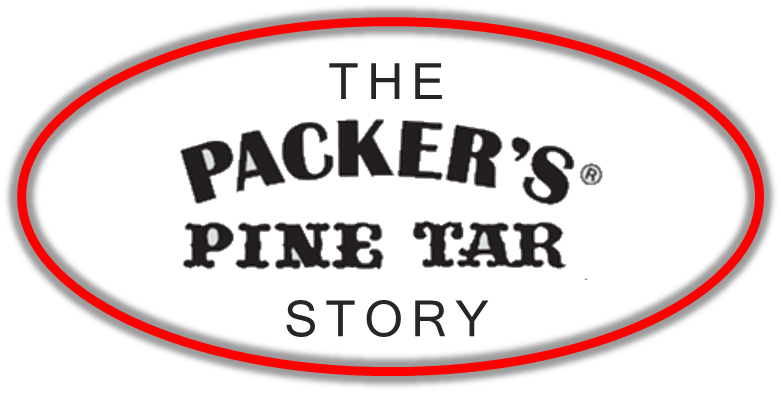 Packer’s Pine Corporation has a storied history that we proudly uphold. Today, we are owned and operated by dermatology healthcare professionals. Our passion is natural skin and hair care. In 1869, in the quaint fishing village of Mystic, Connecticut, Daniel F. Packer, an adventurer and entrepreneur, originated and sold “Packer’s All Healing Tar Soap”. This famous soap now called “Packer’s Pine Tar Soap”, has been marketed continuously for over 140 years. Packer’s proprietary formula of natural pine tar and pine oils has provided millions of people with soothing help for a variety of skin conditions. Daily use of Packer’s provides effective natural protection against mosquito, chigger, tick and other insect bites, as was recognized by the Army Corp of Engineers who used Packer’s ingredients as the insect repellent of choice prior to World War II.